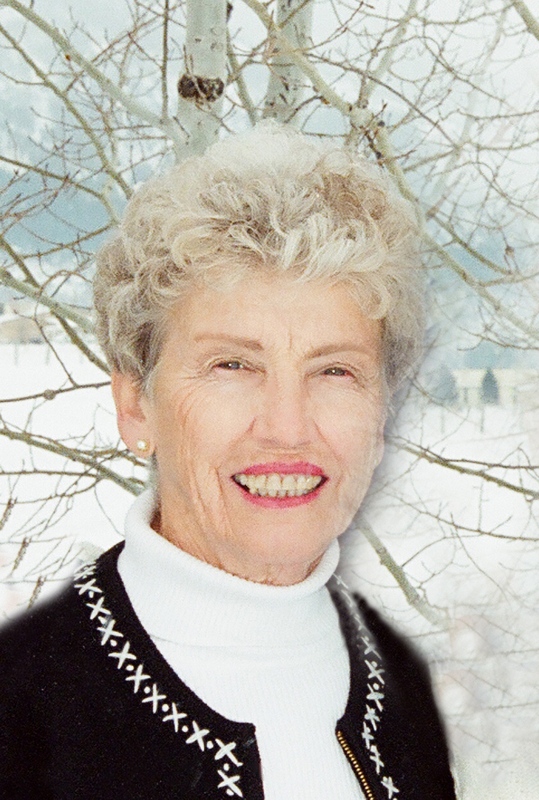 Annie Geneal Livingston Stadtmueller, a beloved wife, mother, sister, grandmother and great-grandmother, age 81, passed away peacefully Nov. 25, 2015, in St. George, Utah, due to cancer. Geneal was born Sept. 28, 1934, in Freedom, Wyoming, to Leon and Annie Lovena (Warren) Livingston. She was one of seven children. Geneal married her sweetheart, August Charles “A.C.” Stadtmueller, in the Idaho Falls LDS Temple Aug. 20, 1954. They shared 61 wonderful and adventuresome years. They established their home in Etna, Wyoming, and were blessed with four beautiful children: Kirk (deceased), Kathy (Donn) Nimmer, Lisa (Douglas) Clark and Lori (Dean) Robinson. Geneal’s entire life was centered on serving her family and friends. She was an active member of The Church of Jesus Christ of Latter-day Saints and served in many auxiliaries. She and A.C. served a mission in the Rapid City South Dakota Mission. She served with the Daughter of Utah Pioneers, the 4-H Organization and as a board member of the Senior Center. She actively participated in the Lincoln County Fair and won many awards for her exhibits. Geneal’s hobbies included bowling, volleyball, sewing, quilting, reading and porcelain dolls. She was an excellent cook and made delicious homemade bread and scones. Together with her family, they shared many hours camping, fishing and playing games. She and A.C. have enjoyed spending the last seven winters in St. George. She is survived by her husband; her three sisters, Shirley Bergeson, Colleen Knowles and Madalyn Newswander; three children; 13 grandchildren; and 19 great-grandchildren. She was preceded in death by her parents, three siblings and her son. Funeral services will be held Thursday, Dec. 3, at 11 a.m. at the Stone Cliffs LDS Ward Chapel, 1762 S. River Road, St. George, Utah. There will be a viewing, 9:30-10:30 a.m., prior to the services, at the Chapel. An additional viewing will be held Saturday, Dec. 5, 11 a.m. to 12 p.m., at the Etna, Wyoming, LDS Church. Interment will be in the Etna City Cemetery. Please go online for condolences, complete obituary and funeral listings.